All you Alabama fans, are you ready to say Roll Tide! The best way to show that you are an Alabama fan is with the shirts that you wear. 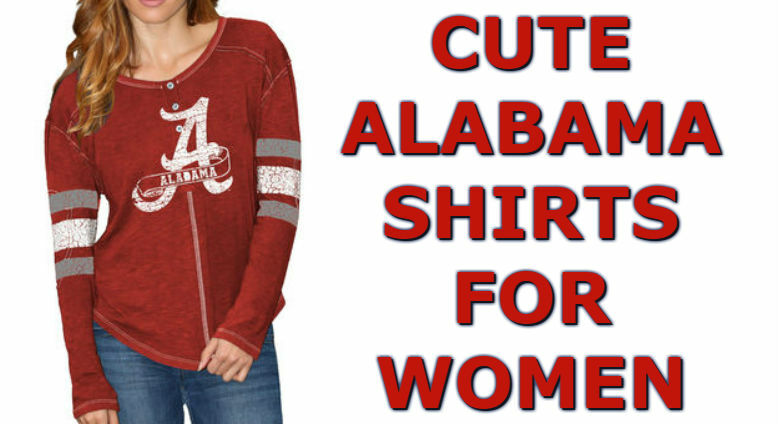 We have put together a list of some of the Top Ten cute Alabama shirts for women that are available for any Alabama fan. 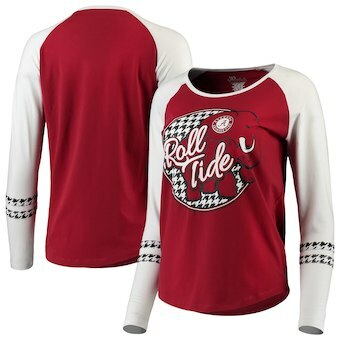 To see a full list of hundreds of cute Alabama Crimson Tide women shirts then Click Here or click the Shop Now button below. 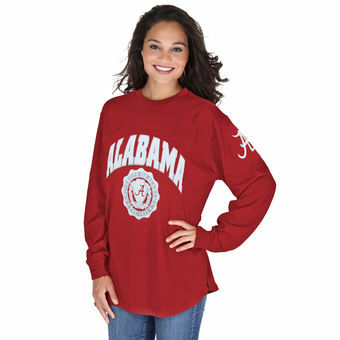 The University Of Alabama apparel is one of the top colleges for apparel merchandise. This means there are many different choices to choose from. 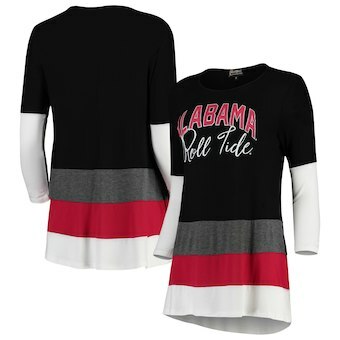 If you are an Alabama fan, you can find many different cute Bama shirts. The one design that goes along with anything Alabama is the houndstooth pattern. 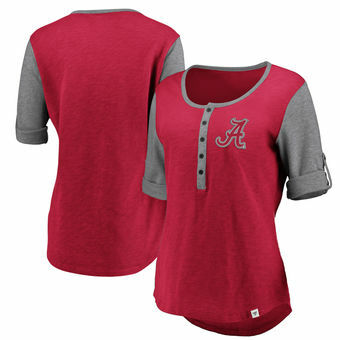 In many of the Alabama shirts you will find some houndstooth mixed in the design. 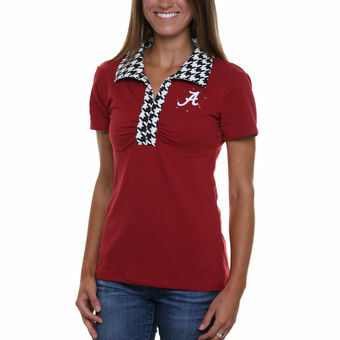 One of the top shirts we have listed below is a women's polo that features a houndstooth collar. 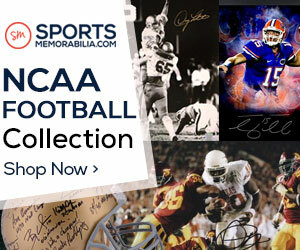 We also have listed some tunics, raglans, long sleeve, henley, and many more. We also have selected some shirts with an elephant design. All of these cute Alabama shirts will be perfect for any lady that says Roll Tide. These Bama shirts will make a great gift for any Bama fan. Also, get one for yourself for that next tailgate party. 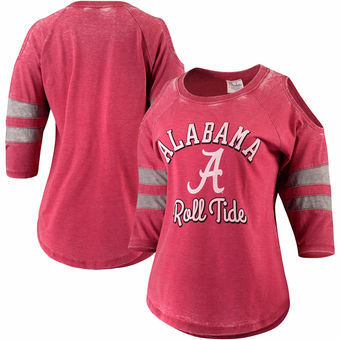 Check out our top ten list of some cute Alabama shirts below. Any one of these shirts would be perfect for your next Alabama party. To see more information, price, and how to purchase, then click the More Info & Price button for that shirt. 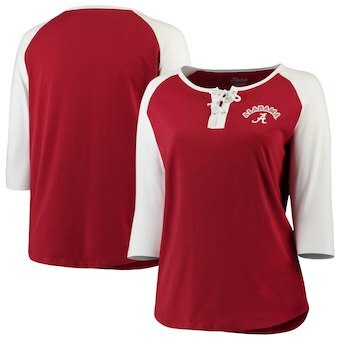 Check out this unique Alabama polo for women. It has a cute houndstooth collar. This is a cute raglan shirt with a unique design for the shoulder. It also features a vintage wash feel. You will love this cute tunic shirt. It features a striped design on collar, back, and sleeves. If you are looking for an oversized shirt, then this long sleeve shirt will be perfect. 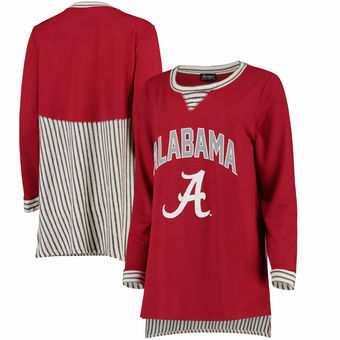 It features an Alabama circle logo on front. 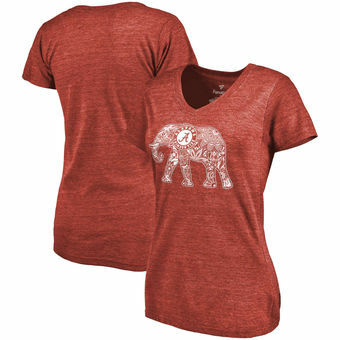 This V-Neck t-shirts features a beautifully elephant design on the front of the tee. Here is a cute quarter button up henley shirt. It features grey sleeves and collar. Looking for different colors in your shirt. Then this tunic will provide that with white, crimson, charcoal, and black. Here is a unique shirt with a lace up top with 3/4 sleeves. This is a great henley shirt from Rebro Brand that features a quarter button up top. This is a cute houndstooth design shirt with an elephant on the front.